In an earlier post (The Clues Are All Around You) I addressed the single most common question from readers of this blog: “OK, you convinced me of the personal, professional, and cultural benefits of short-term working vacations. Now, how do I find them?” Fair question, and in that post I talked about one possible technique–being hypersensitive to clues about overseas opportunities that appear in newspapers, magazines, TV, and radio, and which emerge from on-line discussions and personal interactions. 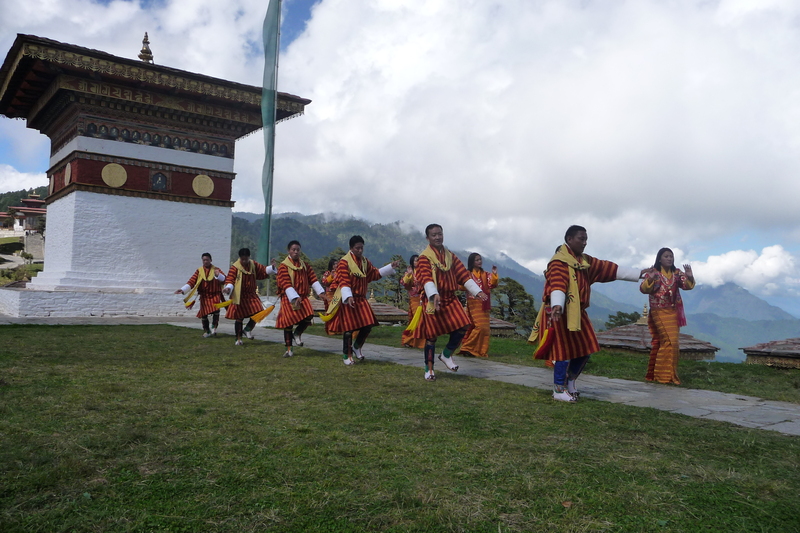 Some of my most rewarding postings came about from something I read, such as an article in the Chronicle of Higher Education about summer school teaching shortages in Israeli universities, or something I saw on TV–a news segment about the Royal University of Bhutan, the first university in that remote Himalayan hideaway. However, there is an even better source for working vacations–the Fulbright Grants Program, sponsored by the U.S. Department of State. The Fulbright program is the single greatest source of paid overseas opportunities in the world–each year they pass out 1,200 grants to 140 countries for periods ranging from three weeks to one year. I have been lucky enough to receive four–Mauritius (1995), Malaysia (2001), Nepal (2004), and Mongolia (2006). If you are a teacher, doctor, nurse, lawyer, engineer, scientist, artist, musician, librarian, or other skilled professional, there is a high probability that Fulbright has a need for someone with exactly your skills. In the coming weeks and months I will be authoring a series of articles about the Fulbright program, including some “tricks of the trade” for writing a successful proposal. (I am batting .800, with four out of five.) These posts will be on a site entitled The Wandering Educator, and I want to invite everyone to read them–I will post links to the articles as soon as they appear. Even though they are on a Web site meant primarily for educators please remember that the Fulbright program is NOT, repeat NOT, limited to academics. It is open to any U.S. citizen with a useful skill, a sense of adventure, and a desire to see the world. Fulbright is the very essence of what is so great about working vacations: You have an amazing cultural experience, become part of a fascinating overseas community, and do not quit your job, sell your home, or kiss friends and family a permanent good-bye–they will all be waiting for your return. Best of all, you do all this on the other guy’s dime! In my latest travel book, On The Other Guy’s Dime, I describe one of the more successful techniques I have used to locate working vacations–the cold call. I would contact a department chair in a city or country where I want to live and say something like “I don’t know you and you don’t know me, but I would love to come to your institution to work for a few months and contribute in any way I can. Please let me show you why you should hire me.” I would then attach a copy of my resume, lists of workshops and courses I could teach, and services I could provide to the school and its faculty. Some skeptics will read the previous paragraph and scoff at the idea of cold calls as a way of finding working vacations. With images of all those struggling telemarketers firmly in mind they will argue you have only a miniscule chance of success. However, believe me when I say it is nowhere near as futile as they portray. You are not some nobody shilling aluminum siding or stain remover; we are talking about highly trained professionals–e.g., doctors, nurses, teachers, engineers, lawyers, artists, business people–offering to share their special skills with developing nations that sorely need them. I could argue for the efficacy of this technique by simply stating that it got my wife and me to Kenya, Turkey, Zimbabwe, Mongolia, and Bhutan. But, instead, let me show that cold calling is a realistic technique by proving it mathematically! A few years ago New Yorker ran a cartoon entitled “What Hell Is Really Like.” There was Satan, with horns and pitchfork, standing over some unfortunate wretch writhing in pain and straining to read the words on a piece of paper. It said “A train leaves Chicago going 40 miles per hour … ” While I don’t believe Hell is a never-ending set of algebra problems, I know many of you will smile and sympathize. Therefore, I tread carefully when presenting a mathematical argument and will try my best not to make this difficult to follow. Let’s assume there is only 1 chance in 20 (probability p = 0.05) of success, i.e., of getting a “Yes, we would love to have you join us for a few months” response to your cold call. That means you will get a “No thank you” 19 times out of 20 (p = 0.95). Furthermore, let’s say you contact four institutions, A, B, C, and D, trying for that one dream offer. The likelihood that exactly 1 of these 4 places will make an offer is equal to the chance of getting exactly 1 Yes and 3 Nos, which is (0.05) x (0.95) x (0.95) x (0.95) = 0.04287. Now that single Yes could come from either A, B, C, or D, so the overall probability is four times that number or 4 x 0.04287 = 0.1715, or 17%. However, the actual odds are even better. If you are lucky you might get 2 Yeses. Of course you cannot accept two jobs, but you are free to pick the one that best suits you. There are 6 different ways that 2 institutions could respond Yes: (A, B), (A, C), (A, D), (B, C), (B, D), and (C, D). The chance of any one of these events happening is the probability of getting exactly 2 Yeses and 2 Nos, which is (0.05) x (0.05) x (0.95) x (0.95) = 0.0022562. So, the overall probability is 6 times that value, or 6 x 0.0022562 = 0.0135, or 1.3%. I won’t go through the mathematics of 3 and 4 Yeses (rare events) but the sum of all these possibilities is the probability that you will receive at least 1 Yes in response to your 4 cold call inquiries. That total is 0.1855, or about 18.6%. Think about what that last number means. Even if you have only 1 chance in 20 of someone hiring you, simply by contacting 4 schools (or hospitals, labs, government agencies, … ) you have improved your chances of landing a working vacation from 1 in 20 to about 18.6%, almost 1 in 5. If I told you that spending an hour or so on your computer would result in a 1 in 5 chance of an all-expense paid trip to Turkey or a 3 month no-cost safari in Kenya would you do it? Of course you would. Well, why haven’t you! And you can do even better. The Web makes it easy to find contact names and addresses at overseas institutions, so why limit yourself to 4? If, for example, you send out 8 emails, and the probability of a single success is still 1 in 20, your overall odds go up to 1 in 3. That certainly isn’t the miniscule possibility that skeptics would have you believe. And, finally, for those who scoff at my assumption of a 1 in 20 chance of success (a value based on my own cold calling experiences), let’s lower it to 1 in 50. Even with these dismal odds (who would bet on a 50-1 shot at the racetrack?) if you were to send out 8 exploratory emails you would still have a 15% chance of landing a position; send out 15 and the odds rise to 1 in 4–a heck of a lot better than the lottery! With the universal availability of the Web, word processors, and e-mail, sending out 15 inquiries is probably not even a single day’s labor. So, for those who have been able to stay with my mathematical arguments this far, I hope you will be motivated to send a few unsolicited emails to those dream destinations–India, Norway, Chile, Austria–described to me in your comments. Remember, the odds are definitely in your favor! The most frequent question I get from blog readers is “OK, I’m convinced of the professional and cultural benefits of short-term working vacations, but where do I find them? How do I locate opportunities to live and work overseas?” I can’t provide a short answer to that question; indeed, a hundred pages of my book, On The Other Guy’s Dime, is devoted to answering that one query in great detail. Simply put, I am saying keep your “working vacation radar” attuned to the clues that are all around you. And they are there. 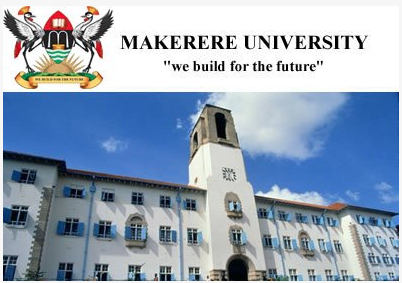 For example, on 12/6/2011 (only two days ago) the Science section of the New York Times ran a feature article entitled “Vast and Fertile Ground in Africa for Science to Take Root.” The story tells of a new computer science/engineering center being established at Makerere University in Kampala, Uganda. This new institute, one of the best in East Africa, is growing rapidly and initiating research in areas ranging from wireless communications to artificial intelligence. It has acquired initial funding from Microsoft and Google and attracted some excellent faculty such as Dr. John Quinn, a researcher with a Ph.D. from the University of Edinburgh, one of the best computing schools in Europe. For most Times readers this will simply be a “feel good” story about the work of some visionary scholars and the creation of a high-quality educational institution in a region with precious few of them. But for professionals in computer science, computer engineering, management information systems, and telecommunications this article could turn into an opportunity to spend a few months (or more) in a fascinating region of the world doing some good work, living in a new and different culture, and having the adventure of a life time. Of course, there is no guarantee that Makerere University will hire you as a paid, short-term member of the faculty. However, the cost of an email inquiry–including resume, classes you could teach, talks you could present, and references–is $0.00, so there is absolutely no risk in giving it your best shot. If they respond “No” nothing has been lost, and you can settle back and wait until the next working vacation clue appears, unexpected and unannounced. But if things happily turn in your favor, as they have for my wife and me 14 times in the last 30 years, then you (and spouse and children) will have a transformative cultural, social, and professional experience like no other. And, best of all, it will be on the other guy’s dime. 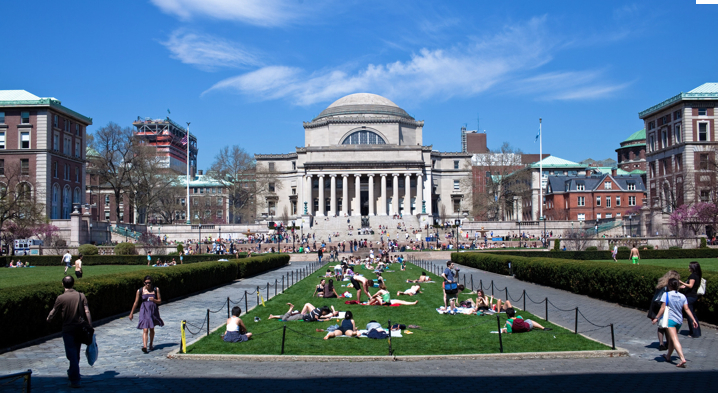 My wife and I are currently residing in a lovely and extremely affordable two-bedroom apartment on the Upper West Side of Manhattan thanks to the largesse of Columbia University (the building owner) where I am a Visiting Professor through this December. In addition to the huge rent subsidy I also receive a generous salary for teaching one course two days a week. This income, when added to monies from the rental of my home in Minneapolis, allows us to live a very comfortable life style in what must be one of the most expensive cities on planet Earth. Now the point of this post is not to say you should immediately apply for a professorship at Columbia, Harvard, or Princeton! Instead, I want to argue that you may be qualified for overseas positions you mistakenly believe are beyond your reach; I want to convince you not to lower your sights or your standards because of some misplaced and misjudged “inferiority complex.” When I sent in that application for a Visiting Professorship some of my colleagues laughed at me–and I mean that quite literally. They guffawed at the idea of a rather average scholar at a small Midwestern college (Macalester in St. Paul, MN) thinking he was qualified to apply for, let alone fill, a faculty position at a prestigious Ivy League school. Well, the laugh is on them as I settle into my lovely apartment in one of the most desirable sections of this most fascinating of cities. And, to prove this was not a once-in-a-lifetime “lightning bolt” I have already met another visiting faculty member from an even smaller and less well-known school–Lake Forest College in Illinois. Like me, he was not discouraged by his colleagues dire predictions of embarrassment and utter failure. So, my advice is not to be deterred by what other people may think or say about your background, abilities, or talent. Aim high and give it a try. If the response is negative then smile, say to yourself that at least you gave it your best shot, and load up for another attempt. When it comes to working vacations remember this credo: You only need to hit the target a single time to end up with a superb, not to mention free, cultural and professional experience. Question: What do they call a person who sent out a hundred working vacation applications and got back only a single positive response? The most common question I get when speaking to groups is “How do I locate a working vacation?” I spend a good deal of time on this topic in my book and have an entire chapter devoted to search strategies and Web sites to help you in that quest. In reality, though, half of my working vacations came via unexpected, out-of-the-blue announcements informing me of an opportunity waiting to be plucked–like the unforeseen phone call from Morris at Imperial College inviting me to England; like the story in the Chronicle of Higher Education that took me to Israel for three months; like the surprise email from Royal Thimphu College that brought me to the lovely Himalayan nation of Bhutan. What I have learned from 30+ years living and working overseas is that there is no lack of working vacation opportunities, only the lack of enthusiasm and commitment needed to aggressively go after them. 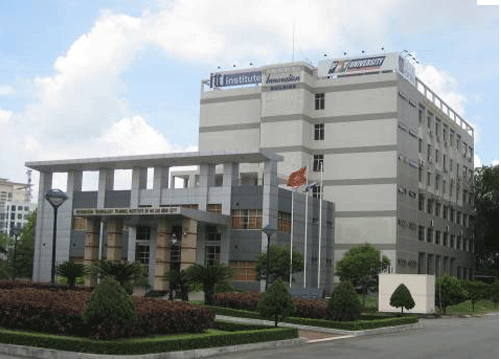 FPT University in Hanoi, Vietnam is seeking visiting lecturers in Software Design or IT project management. FPT delivers a Bachelor of Software Engineering programme in collaboration with the University of Greenwich in the U.K. We are seeking lecturers who would be interested in spending a semester or two living and working in a fascinating new culture. So, remember this the next time something exciting crosses your desk: Having a life-changing working vacation is not so much a question of how to find it as much as knowing how to respond when a unique opportunity falls into your lap, completely out of the blue. Working Vacations For (Almost) Everyone! One of the popular misconceptions about working vacations is that they are exclusively for academics–only possible during the months of June, July, and August and only to schools and colleges around the world. At book signings and call-in shows I often get snide comments saying, in effect, “Excuse me, but I don’t teach so I don’t have the opportunity to live and work in exotic locations like you do.” And no matter how much I try to convince them otherwise, they stubbornly cling to this mistaken notion. Now, thanks to Mr. David Rowell, creator of the blog Travel Insider and a recent reviewer of my book, I have additional evidence to show that this view is utterly incorrect. In his review David referred to the Web site of the International Executive Service Corps, abbreviated IESC, a non-profit organization founded in 1964 with a focus on helping developing nations grow their business and financial infrastructure. Their “executive service corps” model was inspired by the success of the Peace Corps, and they utilize volunteers as well as paid consultants in fields such as banking, financial services, accounting, technology management, international trade, hotel and tourism management, real estate, capital formation, natural resources, patent law, and government regulations. Their employees currently serve in 130 countries around the globe. Paid consulting projects vary in length from one week to several months, exactly the length of working vacations I have been espousing in this blog, and more than enough time for a superb cultural experience. If selected as a consultant you receive air fare, housing, and a per diem allowance sufficient to cover most or all your travel expenses. In addition, if the appointment lasts for more than 28 days, IESC includes airfare for a spouse. Essentially, IESC allows you to travel the globe, contribute to the development of an emerging economy, and have an amazing cultural adventure all (as I have said many times before) on the other guy’s dime. This site expands the opportunities for working vacations to include industrial, business, and financial professionals in a wide range of specializations. If I had more time, I would also include a lengthy description of Doctors Without Borders, an international humanitarian organization that hires professionals in medicine, nursing, pharmacy, sanitation, hospital administration, epidemiology, and public health for short-term postings in 60 countries around the world. So, please don’t fall back on the tired old argument that a one or two month working vacation is the sole purview of high school and college teachers. Trust me when I say there is no shortage of opportunities, regardless of your specialization, only a shortage of the motivation needed to search for them and, when found, to enthusiastically go after them. In the last three posts I described my failure landing a working vacation on the South Pacific island nation of Palau. This type of dream-shattering disappointment is well-known to first-time authors, newly minted playwrights, and novice actors. Unfortunately, it is an occupational hazard of aspiring working vacation seekers as well. I did not want stories of my no-cost career breaks in England, Israel, Australia, Kenya, Turkey, and Zimbabwe to blind you to the real-world fact that locating a working vacation is neither guaranteed nor automatic. However, if you know what to do and how to respond, it is also not an unattainable dream. The moral of the story is to expect rejection, not let it get you down, and have a follow-up response at the ready, exactly as described in Plan A, then Plan B, then Plan C. First, consider other institutions in the same city, country, or region that meet your language, program, and location requirements. If that does not work consider alternate countries or regions that might offer you and your family a similar cultural experience. The cost of these inquiries is insignificant—perhaps an hour of on-line research and a few minutes at the keyboard. In the “olden days” (pre-Internet) each attempt at contacting an overseas institution involved waiting weeks for a snail-mail inquiry to arrive on the other side of the globe and a response to trickle back home. In that environment contacting a large number of places was unrealistic. However, e-mail and the Web have changed all that, and it is now quick and easy, not to mention free, to contact a number of schools, agencies, or research centers. For example, when I was seeking a working vacation in Nairobi, I sent email to a half-dozen institutions asking if they would be interested in hosting me for a short-term paid sabbatical–I did not rely on the employment whims of a single school. The nice thing about this “scatter shot” approach is that you only need to receive a single positive response, so the more places you contact the greater the probability of getting that hoped-for “Yes, we want you” response. And, remember, the payoff for that single success is a glorious overseas work experience on someone else’s dime.